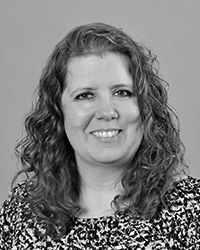 Shelley Roff | Perry & Carroll, Inc.
Shelley started her career in insurance with Aetna in 1990 and, in 1996, began at The Brand Agency, which merged with Perry & Carroll, Inc. in 1998. She serves as a Personal Lines Account Manager for our agency. Shelley has held her Property and Casualty license for over 17 years, is a Notary Public and has achieved the Accredited Customer Service Representative Designation. In 2015, Shelley received the ACSR of the Year Award. As a mother of two, Shelley stays busy spending time with her kids and being involved with their various school activities.